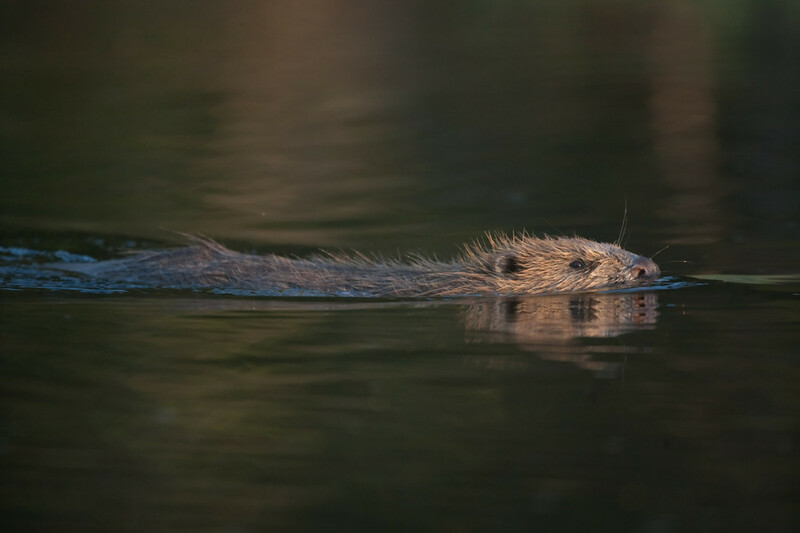 At least three young beavers were born to the family of two adult and one immature European beavers that earlier this year were spotted living on the river Otter in Devon, The Guardian writes. As we earlier reported these beavers were allegedly the first of their species seen in the wild in England for over 500 years. Now the authorities want to capture and remove them. European beavers were once widespread in the UK, but were hunted to extinction in the 16th century in England and Wales for their fur, believed medicinal value and meat. The beaver is known as a “keystone species” in Europe’s freshwater wetlands, because of their water engineering capacity. Tom Buckley, a local retired environmental scientist, captured the first video footage of the family in February, gnawing at the base of trees, grooming each other and playing together, says he first saw the kits in July. -“I was just so excited when finally I saw the first baby beaver that had been born here in the river Otter, after looking and hoping to see signs of baby beavers for over a month. My hopes were raised when I saw a mother beaver showing obvious signs of nursing babies. And then, finally I saw a baby beaver came to its mother seeking her attention, just like babies do. Clambering all over her while she was trying to eat. I was rather overwhelmed by it all”, Buckley says. He believes the young may have been born in June and after that spent a month inside their lodge. Young beavers can swim and dive almost immediately, and stay with their parents for up to two years. “To see that there were at least three baby beavers, all happily playing and foraging for food, was really marvellous. They are living in great harmony as a very natural part of the river Otter environment,” he said. Some people are scared that beavers might change rivers and threaten fishing, but all existing scientific proof clearly shows this is wrong and that beavers instead tend to enhance fish stocks and make rivers better for all kinds of wildlife. More than11,000 people have so far signed a petition against the trapping of the beavers, and animal rights campaigners are now patrolling the banks of the river Otter, ready to raise the alarm, if the capturers should move in. You can join their efforts in the pressure group “Save the Free Beavers of England” and sign their petition, provided that you are a UK citizen: https://you.38degrees.org.uk/petitions/save-the-free-beavers-of-england. write to your MP and tell them to stop it. write to the Government minister involved, Lord DeMauley: demauley@parliament.uk.